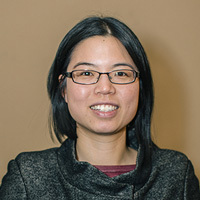 Joanne Chong is a Research Director at the Institute for Sustainable Futures, University of Technology Sydney. She leads interdisciplinary, applied research teams investigating and developing policy, planning, regulatory and engagement solutions to improve water security and resilience in Australia and internationally. Her expertise spans WASH, wetlands and catchment mangagement, urban water infrastructure and service planning, pricing, rapid drought response, climate change adaptation, and monitoring and evaluation. Her research collaborations span partnerships with national and local governments, water utilities, businesses, NGOs and donor organisations – including DFAT, USAID, World Bank, Plan International and SNV. Internationally, she has conducted research in Cambodia, Indonesia, Philippines, Vietnam, Sri Lanka, Nepal, Fiji, Samoa, Solomon Islands, Tonga, Vanuatu and Brazil. She has previously held positions at the Australian Government Department of Environment and Heritage, the NSW Independent Pricing and Regulatory Tribunal, IUCN The International Union for the Conservation of Nature, and the Productivity Commission. She holds degrees in Environmental Law from the University of Sydney, and in Engineering and Commerce from the University of Melbourne.